41647 RA6459.jpg 500X638\RA6459.jpg 41648 RA6459_1.jpg 500X638\RA6459_1.jpg 41650 RA6459_2.jpg 500X638\RA6459_2.jpg 41651 RA6459_3.jpg 500X638\RA6459_3.jpg 41653 RA6459_5.jpg 500X638\RA6459_5.jpg Send A Hint! 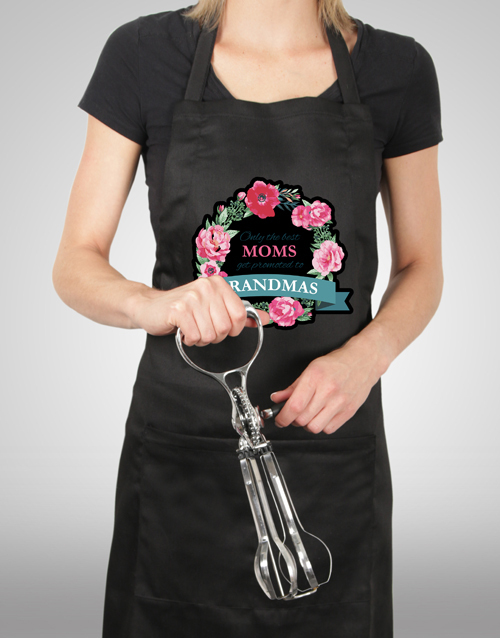 Product Description: less text Spoil that special grandma with this useful and quirky gift! 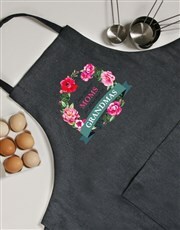 An apron is branded with a special 'Only the best moms get promoted to grandmas' design, making it perfect for any special gran who loves to cook up a storm in the kitchen! *Available in black, denim, grey, pink and white. 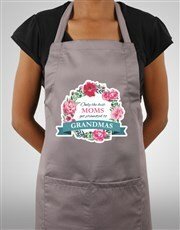 Get this Floral Grandma Apron delivered with NetFlorist.